It's a good performer that's weatherized for outdoor deployments, if you prefer. Ring finally has a camera for inside the house and it's pretty good! 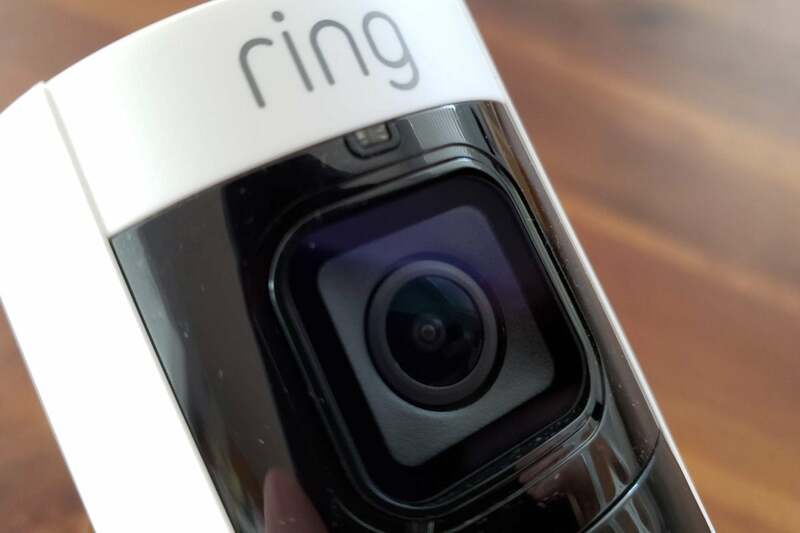 Ring’s second-generation home security camera—the Ring Stick Up Cam Wired—can be deployed indoors or out (the first-gen model was strictly an outdoor camera). The company already makes some of our favorite outdoor cameras, and it has a promising new alarm system on the market. This camera is just as good. In TechHive’s tests, we found its image quality to be among the best available, and its motion-sensing abilities are equal to or better than many competitors. A well-designed mount allows it to be aligned vertically on almost any surface, and the thoughtful addition of power over ethernet (PoE) support means you can easily install it in places with bad Wi-Fi and/or that are far from an electrical outlet. You’ll need either a Ring PoE adapter ($30 at Amazon) or a PoE-enabled switch connected to your router to take advantage of that feature. The PoE option will also require you to run ethernet cable (up to 330 feet or 100 meters) to the camera. but ethernet is a low-voltage cable, so you won’t need to hire an electrician for the job. The Ring Stick Up Cam Wired will work as part of a whole-home Ring system, but it can also happily function as a stand-alone security camera. 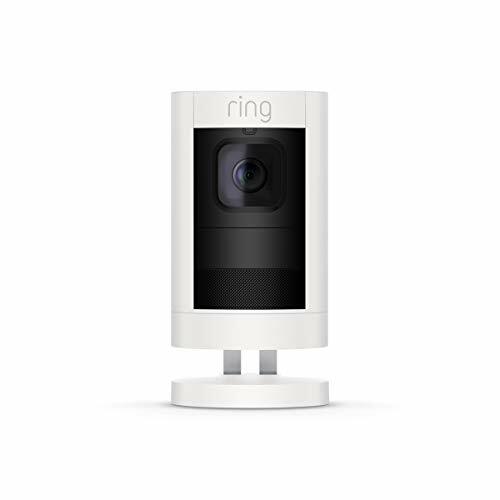 Ring recently announced several other versions of the Stick Up Cam, including battery- and solar-powered models. We’ll review those SKUs when they become available in 2019. The video image from the Ring camera is good, sharp, and in 1080p high definition. Its lens provides a wide 150-degree field of view. That means pretty much all of a room should be covered, no matter where you install it. The camera doesn’t appear to support HDR (high dynamic range), which can help balance a scene that includes very bright and very dark areas, but that shouldn’t be a deterrent to most users. A view from the Ring Stick Up Cam Wired. Compared to the Nest Cam IQ Indoor, the leading indoor camera from Ring’s biggest competitor, you’ll actually see much more of your room with the Stick Up Cam Wired thanks to the wider field of view. The Nest camera supports HDR, so the image was slightly more pleasing at certain times of the day, but I’d trade a wider view for HDR support. This view from the Nest Cam IQ Indoor shows its HDR capability, but also its narrower field of view. Like Ring’s other home security cameras, the Stick Up Cam Wired features video motion detection that can be switched on or off. When the camera is armed and detects movement, it can be set to automatically record video if you have an optional Ring Protect plan. Those start at $3 per month per camera. Without the subscription, you can only see a live stream from the camera. The sensitivity of the motion detection can be adjusted through five levels and, to further fine-tune the system, users can create motion-detection zones. These are areas in the video image that the system examines for movement. Areas outside the zone are ignored. This can be especially useful if you need to ignore some type of motion—sway tree branches, for example—that are within the camera’s field of view. Users can also set a schedule so motion detection runs only at certain times of the day or week. This especially important if you’re using the camera indoors, because you don’t want the system alerting you every time you walk into the room being monitored, but you will want it to alert you to an intruder when you’re away. As useful as this function is, however, it would be much more useful if motion detection could be switched on or off automatically when you leave home—based on either the GPS in your smartphone or when the camera is paired with a Ring Alarm system. Ring says integration with the alarm system is coming later in 2018, but it’s not available now. The lens on the new Ring Stick Up Cam Wired boasts a very wide field of view. Ring supplies parts for both indoor and outdoor installations. The camera is attached to a base and arm that swivels around, so the camera can be mounted on a wall or ceiling or it can rest on a shelf with the camera remaining vertical. For indoor use there’s a small wall wart power adapter and a cable for the Micro-USB connector on the camera. 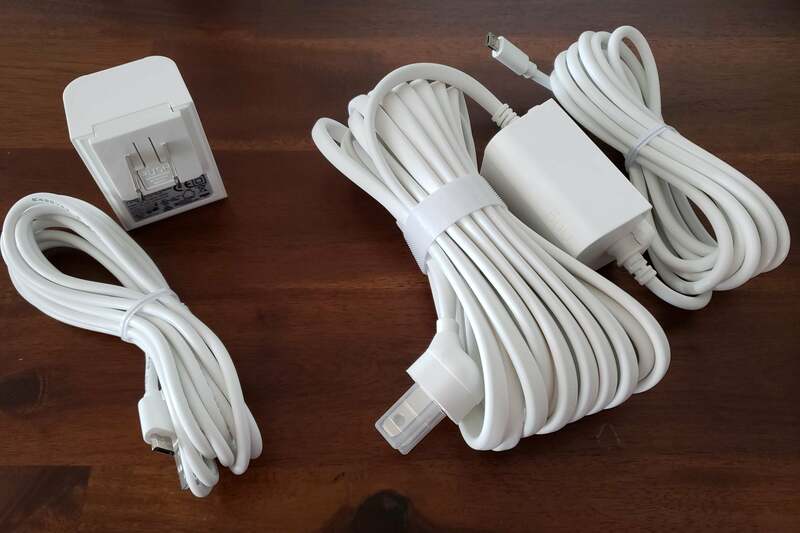 For outdoor use there’s an inline adapter with a much longer cable. Ring provides both indoor (left) and outdoor power cables. The inline power supply on the outdoor model is weatherproof; but if you take advantage of the PoE feature, you can run just ethernet cable to the camera. 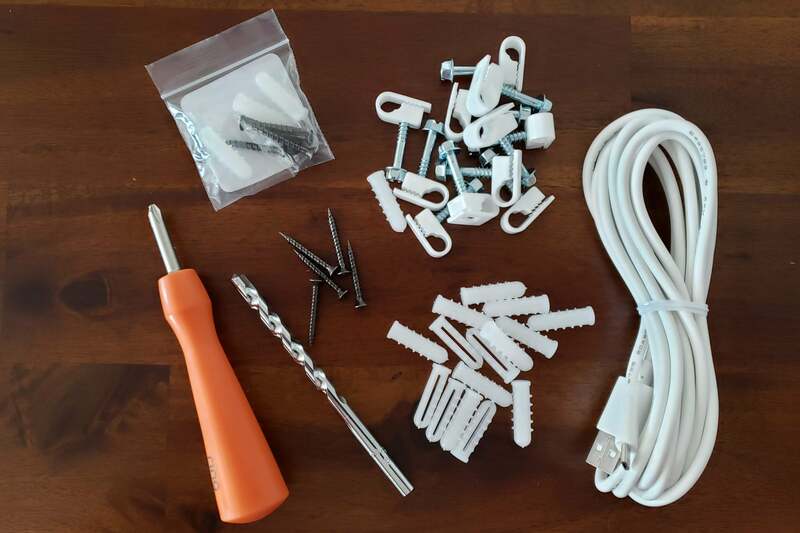 Ring also throws in cable clips, wall anchors and a drill bit and screwdriver for installation. Installation parts and cables included with the Stick Up Cam Wired. As a subsidiary of Amazon, the Ring Stick Up Cam Wired works well with Amazon Alexa. If you have a Fire TV stick or an Echo Show, you can ask Alexa to show video from the camera or display recent activity (if you have a subscription). A narrower set of commands is available with Google Home. I managed to get motion alerts turned on or off and start a recording, but I couldn’t view camera feeds through a Google Assistant command. The Ring Stick Up Cam Wired is a solid indoor security camera. Its image quality is good, the motion detection settings are easily fine-tuned, and the monthly cost for video recording is among the lowest available. This is a natural choice for anyone with a Ring Alarm system, but you should also consider this if you want a stand-alone camera to watch over an area and don’t need it to tie into other systems.